It is a usual practice that when a leader leaves office, the media and political analysts are fond of discussing the leader’s legacy. The leader himself is also fond of talking about that if he does leave some valuable legacy. When former Chinese leaders Hu Jintao and Wen Jiabao were to leave office in 2012, Chinese media were filled with praises of their achievements in bringing about economic growth, etc. until an article emerged to point out the rampant corruption and the excessive overcapacity and local governments’ debts left by them. Their successors Xi Jinping and Li Keqiang have to make great efforts to fight corruption and reform Chinese economy to switch from investment- and export-oriented into an innovation-, creation- and consumption-led one. Similarly, when US President Obama took over from his predecessor, he had to deal with the financial crisis caused by his predecessor’s lack of supervision, the huge debts incurred by his predecessor in fighting two wars and the difficulties to end his predecessor’s hopeless wars. Due to lack of power, he has not been able to deal with the problems so satisfactorily as Chinese leaders do, but we cannot deny that he has indeed greatly improved the situation. That can be regarded as his legacy that benefits American people though it seems no one sees that. People usually regard that as common things that he ought to have done as a leader. They usually want something great than providing some remedy to the evils caused by his predecessor. Obama’s pivot to Asia can be regarded as his great initiative as it concerns containing the rise of China so as to maintain US world leadership, but according to some analysts, Obama fails to leave any legacy in that respect as the pivot is a failure. 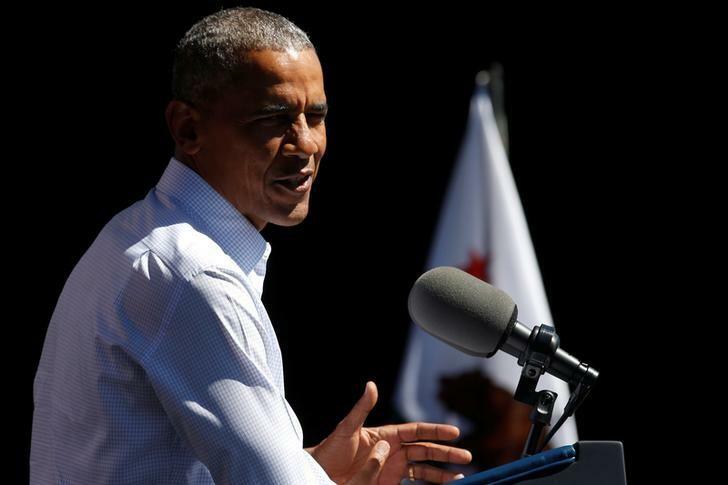 There were two quite typical articles on Obama’s failure: one titled “America’s Pacific pivot is sinking” by Gideon Rachman published on Financial Times on September 19 and the other titled “Barack Obama’s Asia pivot is sinking beneath Pacific waves” by M.K. Bhadrakumar on September 21 published on Asian Times. Full texts of them can respectively be found at http://www.ft.com/cms/s/0/12473188-7db4-11e6-8e50-8ec15fb462f4.html#axzz4LFTLzKtn and http://atimes.com/2016/09/us-pivot-to-asia-is-sinking-beneath-pacific-waves/. Economically, the articles point out Obama’s inability to have his TPP ratified in US Congress or accepted by his potential successors. 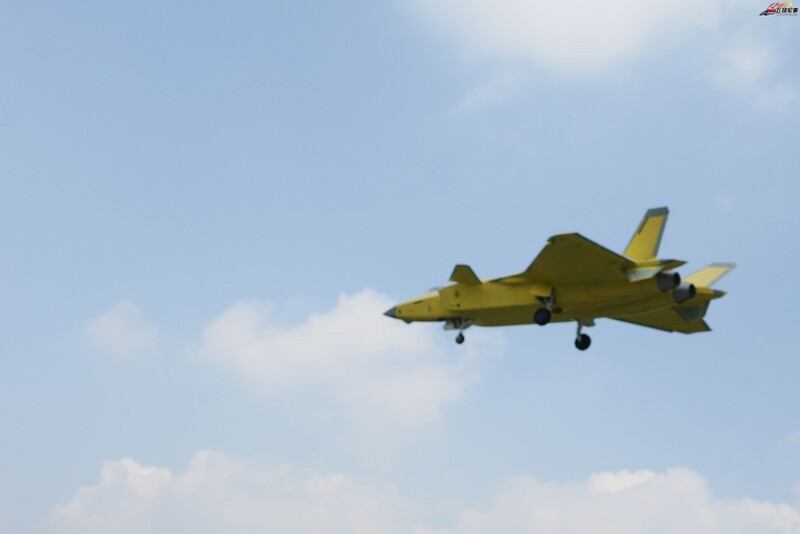 Militarily, the articles are disappointed that Obama has failed to stop China’s construction of artificial islands or have China observe Hague arbitration ruling in spite of the military pressure he has brought on China. In Obama’s recent last speech to the UN, he mentioned the progress in the world and US contribution to the progress, but did not mention his own contribution as, perhaps he thinks that he will not leave any legacy that he can boast of. Does Obama really fail to leave any legacy then? No, on the contrary, he leaves the world a most wonderful legacy that will greatly facilitate world peace. To have world peace, there has to be balance of strength in the world. During the Cold War, there were few wars because there was balance of strength between the two superpowers the US and Soviet Union. The balance of strength made neither of them able to win a war. The US lost the Vietnamese war as Vietnam had Soviet support. Similarly, the Soviet Union could not win its war in Afghanistan as Afghanistan had US support. Due to the balance of strength, there were only two wars of prolonged duration in limited areas Vietnam and Afghanistan while other parts of the world enjoy peace. When the Soviet Union has collapsed, there was no balance of strength as the US became the only superpower with no rival at all. As a result, it had no scruple to fight wars and even became so reckless as to fight two wars at the same time. Iraq, Afghanistan, Libya, Yemen, Syria, etc. have been in wars for a long time under the rule of the only superpower. The world is lucky that the US does not know how to fight wars economically and has become hard up due to the wars. Otherwise, there will be much more wars as the only superpower is fond of using its military force. Fortunate for the world now, there is balance of strength again – the balance of strength between Russia-China alliance and the United States. With a rough sense of the likelihood of the alliance, US military expert Robert Farley published an article on US media the National Interest with the interesting title of “US Military’s Worst Nightmare: A War with Russia and China (at the Same Time)”. In fact, Mr. Farley regards as nightmare US fighting of a war with the joint force of Russia and China, but that is not possible as he believes that Russia and China will not join force. According to him, the worst scenario is that in a war between China and the US, Russia may take advantage to pursue some gains in Europe. As a result, the US has to fight China and Russia separately though at the same time. That may be a nightmare, but it is not too serious according to Mr. Farley. Europe is strong enough to deal with Russia with some help from US air force so that the US may focus on fighting China. As without Russia’s help, China is weaker than the US, it will be defeated by the US. Then, the US may transfer its troops to Europe to join Europe in defeating Russia. Each country has its own goals, and works on its own timeline. More likely, one of the two would opportunistically take advantage of an existing crisis to further its regional claims. For example, Moscow might well decide to push the Baltic States if the United States became involved in a major skirmish in the South China Sea. What Mr. Farley says is based on the assumption that there is no alliance between China and Russia. If there is, it will be a real nightmare for US military to fight the combined forces of Russia-China alliance that is quite a rival to US forces. Moreover, China and Russia will only act respectively in Asia and Europe, where they have geographical advantages as the US troops have to fight far away from their homeland with much less support from land bases. With such balance of strength and geographical disadvantages, the US will not start a war. China certainly is not so stupid as to start a war. It is not fond of war. That is why it has been trying hard to resolve the disputes with its neighbors peacefully. Russia is too weak to start a war if China is not willing to be involved. As a result, there will be lasting world peace due to the balance of strength. How exciting! Without American attack, the world is safer for China and Russia and perhaps also other countries as Russia and China may joint force to support other nations attacked by the US. What is to be excited for? The legacy only benefits others. A president’s legacy shall first of all benefit his own people. Wrong! American people are greatly benefited too. What benefits the collapse of the Soviet Union has brought to American people. Nothing. America has become reckless in fighting wars, conducting regime changes and promoting democracy without any achievements. It has only made American people suffer the casualties of war and the heavy burdens of debts caused by its reckless spending in doing so. For the world, it has brought chaos in quite a few countries and given rise to problem to Europe of the flood of refugees. When the two superpowers understood that there was the balance of strength they could not break, there was détente and disarmament by the two superpowers to reduce their financial burdens of arms race on their people. Moreover, America could at least really be the leader of its camp, the members of which obeyed its leadership. Now, America regards itself as world leader, but no one follows its leadership. Japanese Prime Minister Shinzo Abe would not accept US Vice President Joe Biden’s advice not to visit Yasukuni Shrine. Only when his visit had broken Japan’s ties with China and South Korea does Abe refrain from repeat his visit. US weakest ally the Philippines dare to challenge it now. Russia and China are enemies created by US military and politicians. They are utterly not US enemies. US true enemy such as ISIS is also China and Russia’s enemy, when the US has accepted the balance of strength and refrains to create the enmity between the alliance and the US, the three may join force to fight their common enemy. China’s actions in the South China Sea are but for protection of the historical rights and interests it has claimed for centuries and reflected in its map since 1947. At the end of World War II, the US supported China’s claims and sent Chinese troops on its warships to the areas to impose China’s claims. US current description of such claims as aggression is purely for the purpose of containing China in order to prevent China from replacing it as world leader. When there is balance of strength, like the situation during the Cold War, the US will not be free from the burdens of the only world leader. It will be the leader of one major camp while the other major camp including most Asian countries will be lead by others. The balance of strength will lead to détente and disarmament of the two rival camps. As a result, world peace will be ensured. American people will also enjoy world peace. Moreover, they will have a reduced military budget to enable them to have much needed funds to rebuild and repair US infrastructures that are mostly in poor conditions, develop US economy and improve American people’s livelihood. Hold! Russia-China alliance? Impossible! There is deep historical enmity and serious conflicts of interests between China and Russia. How can they be allies? Obama has made it possible. How has Obama’s diplomacy made the impossible possible? You will find answers in my next post “The Conundrum of Russia-China Alliance”. As Russia-China alliance has entirely been caused by Obama, it must be regarded as Obama’s wonderful legacy. China’s Type 99 tank. Image: Creative Commons. A last note is the Type 99 features new digital maintenance systems similar to those entering into use in the latest upgrade of the M1 Abrams. 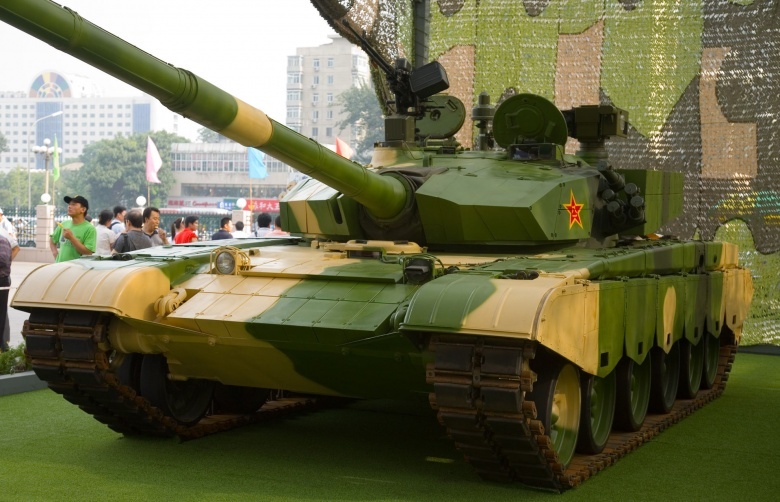 Nonetheless, the majority of the evidence available suggests that, despite its hordes of Type 59s, China is capable of designing and fielding a first-class main battle tank. This fits in well with President Xi Jinping’s recent push to downsize in quantity, and improve in quality, its armed forces. 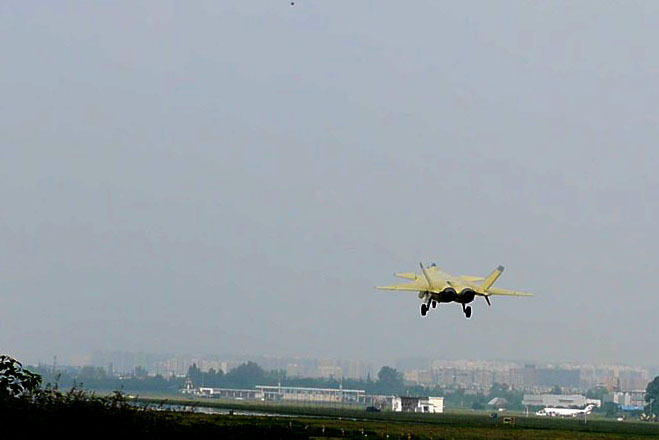 The above are photos recently taken by a Chinese web user the test flight of a new J-20 in yellow coating without number. A visit to China by a Philippine special envoy tasked with rebuilding tattered ties with Beijing has been cancelled, his aides said on Tuesday, the latest turn in a foreign policy increasingly unpredictable under the new president. 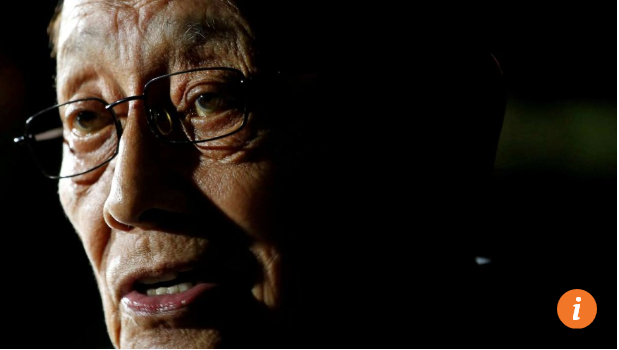 Fidel Ramos, Philippine president from 1992-1998, would still go to Beijing, but when the time was right, according to an aide. 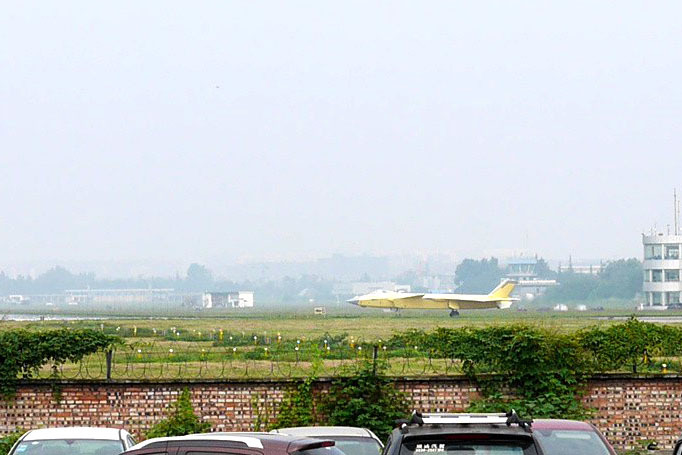 News of the aborted trip was first posted on the website of the Philippine embassy in Beijing. Philippine President Rodrigo Duterte picked Ramos to start a complex process of dialogue with China in the wake of a landmark ruling by the Permanent Court of Arbitration in The Hague, which invalidated Beijing’s claim to most of the South China Sea and put much of the region on edge. No official announcement had been made about the trip by either the Philippines or China and it was not clear with whom he had planned to meet. The aide of Ramos, who was not authorised to speak to media, said he still planned to go “at the proper time”. China refuses to recognise the arbitration case, but both sides have pledged to pursue warmer ties. China claims most of the South China Sea, through which more than US$5 trillion of trade moves annually. Brunei, Malaysia, the Philippines, Taiwan and Vietnam have rival claims. But a source with direct knowledge of the matter said the reason for cancelling the trip was because it clashed with Duterte’s schedule. He is due to visit Vietnam starting on Wednesday. “The president’s visit to a number of Asian countries is being arranged,” the source added. 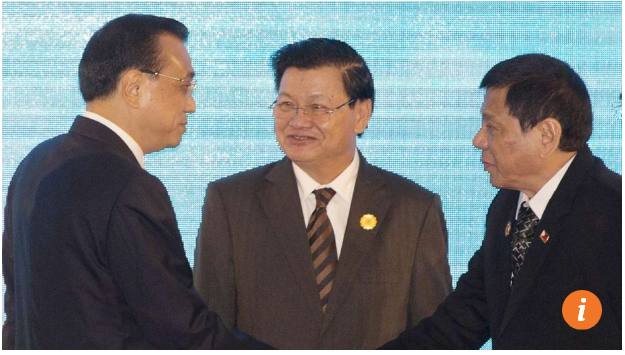 Duterte in a speech yesterday reiterated his hopes of making China a new friend, along with Russia, and said by next year he would have “entered into so many new alliances”. His rhetorical outreach towards Russia and China was accompanied for a second day by a chiding of the United States, which he would not allow to “impose on us anything”. China too was not spared criticism, with Duterte telling Beijing to control drug gangs supplying narcotics to the Philippines. “If you consider us your friend and want to help us, most of the materials are from China, what does that mean?” he said. Note: This is SCMP’s report I post here for readers’ information. It does not mean that I agree or disagree with the report’ views. Believing in Philippines’ alliance with the US, the only superpower in the world, former Philippine President Aquino started to ban fishing by Chinese fishermen at disputed Scarborough shoal and thus started Philippines’ Scarborough standoff with China. However, US navy took no actions to help US ally the Philippines in the standoff. Instead, the US told the Philippines to retreat and promised to make China retreat too. The Philippines has retreated, but China would not. China took full control of the shoal. In retaliation, it bans fishing by Philippine fishermen there. The US tells the Philippines to file arbitration at the Permanent Court of Arbitration in The Hague to restore its fishing and other rights and supported the arbitration all along. The Philippines has indeed won the arbitration, but the US fails to help it enforce the arbitration award. As a result, Philippine fishermen continue to have no access to their traditional fishing ground that they rely for their survival. They must be allowed to fish there as they had been fishing there for generations. Since China wants others to respect its historical rights and interests, it shall also respect others’ historical rights and interests, to be more specific, Philippine fishermen’s historical fishing rights in the disputed area. The standoff has caused Chinese coast guard ships to patrol the fishing ground and deny Philippine fishermen access to the area. What is much more serious is the combat patrol by Chinese fighter jets and bombers of the fishing ground due to Hague ruling. There may be military conflict if the Philippines tries to break into the disputed fishing ground. Therefore, there shall first of all be crisis management and then permission to allow Philippine fishermen to fish there. The Hague arbitration ruling has made things much more complicated. China utterly rejects the ruling so that it cannot allow Philippine fishermen to fish there if Philippine President Duterte insists that it has fishing rights based on the ruling. However, if Duterte fails to insist, he may be unpopular among his people whose nationalism has surged due to the ruling. Perhaps, the best way out for the two countries is to have an agreement allowing Philippine fishermen fishing there due to long-term friendship between the two countries. I have reblogged Reuters’ report today on Duterte’s desire to seek alliance with Russia and China. He is obviously clear of the Cold War between the camp of China and Russia and that of the US. China and Russia’s Shanghai Cooperation Organization (SCO) focuses on economic cooperation and regional security. Duterte wants both: cooperation to boost Philippine economy and help him deal with rebel forces. Duterte is a better president. His predecessor pitted the US against China and began to arm the country, but Duterte wants peace. His predecessor refused China’s invitation of talks to resolve the disputes but he took initiative to talk. If he is sincere in resolving the disputes through talks, alliance with the US is useless for him as it is entirely a military alliance. “Every alliance has a horse and a rider.” said Stephen Blank, a senior fellow for Russia at the American Foreign Policy Council. Mr. Blank defines US view on alliance very well. The US, as the strongest, always wants to be the rider and treat its allies as the horses. However, the rider fails to take care of the horse’s rights and interests. Duterte is so disappointed that he wants to end Philippines’ alliance with the US. The Philippines is tired of being a horse to serve the US as the rider. It wants to switch to alliance with Russia and China. China and Russia’s view on alliance is entirely different. Alliance is a very close friendship in which there is no need for a certain member to be the lord over others. For example, the SCO is led by both China and Russia as neither of them wants to be the only leader. The weaker members of SCO in Central Asia enjoys Russian security protection and Chinese economic assistance. For Deterte, there is the need of security protection to deal with rebels though no need with regard to China if he succeeds in improving ties with China. However Chinese economic assistance will be very attractive. Comments by Chan Kai Yee on Reuters’ report “Philippines’ Duterte wants to ‘open alliances’ with Russia, China” today which I have reblogged and SCMP’s report “South China Sea fishing rights at top of Philippine president’s agenda in Beijing”, full text of which can be viewed at South China Sea fishing rights at top of Philippine president’s agenda in Beijing. Philippine President Rodrigo Duterte said on Monday he would visit Russia and China this year to chart an independent foreign policy and “open alliances” with two powers with historic rivalries with the United States. Last week, he last declared he would visit China, with which ties remain frosty over a South China Sea arbitration ruling won by the Philippines in July. He said Russian Prime Minister Dmitry Medvedev was expecting him in Moscow. An arbitration court in The Hague in July invalidated China’s claims to the waterway in a case brought by the Philippines, a ruling Beijing refuses to recognize. “I am ready to not really break (U.S.) ties but we will open alliances with China and… Medvedev,” Duterte told reporters, adding he would open up the “other side of the ideological barrier”. He welcomed investment and shrugged off rating agency Standard and Poor’s concerns last week about the Philippine economy on his watch. The peso fell on Monday to its lowest since 2009, and foreign investors have dumped local shares for six straight weeks, worried about Duterte’s anti-U.S. rhetoric and brutal war on drugs, which has alarmed rights groups at home and abroad. 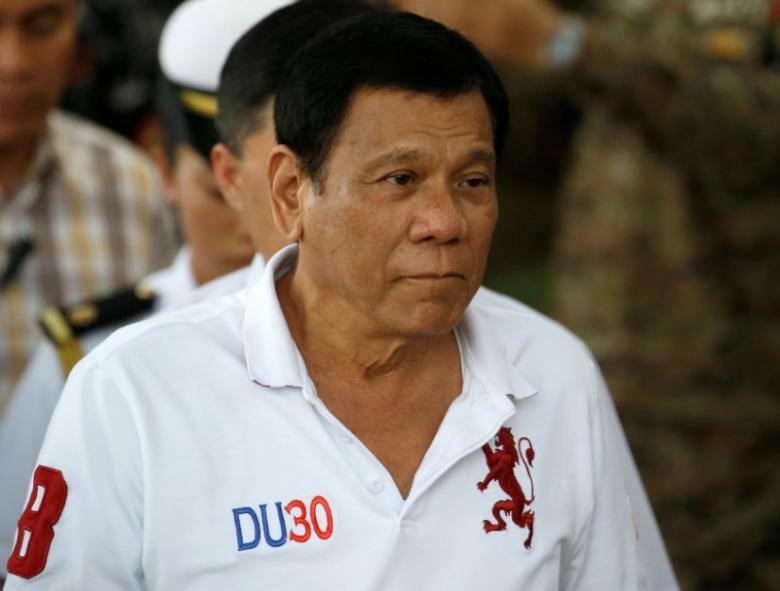 In Washington, State Department spokesman Mark Toner said the Philippine government had not contacted the United States about the comments made by Duterte. U.S. cooperation with the Philippine government remains strong and the United States has not seen anything that would indicate a shift by Manila, Toner said at a daily news briefing. “They’re a sovereign nation and we’re certainly not going to hold them back from pursuing closer relations with either of those countries. … It’s not a zero-sum game,” he said. Duterte also said he would open up telecoms and airlines, two domestic sectors long controlled by local players and criticized for being uncompetitive. He did not elaborate. His vitriol against the United States has become a near-daily occurrence, sparking both amusement and concern. On Monday he accused Washington of “hypocrisy” and “lording it over us”. His latest swipe included ruling out participation in any maritime conflict initiated by the United States, despite a 1951 treaty which Duterte said required Manila to back Washington. Toner said he would dispute Duterte’s premise that the United States might start a maritime conflict. “The United states has a strong security presence in the Asia-Pacific region, but we’re certainly not looking to start a military action against anyone,” he said. It was unclear whether Duterte’s outbursts will affect relations between the two countries, whose militaries have scheduled joint exercises in October. On Monday, the U.S. embassy in Manila announced two-week deployment of a pair of C130 planes and 100 troops at an air base in the central Philippines, the third of its kind this year, as part of a rotational troops agreement. 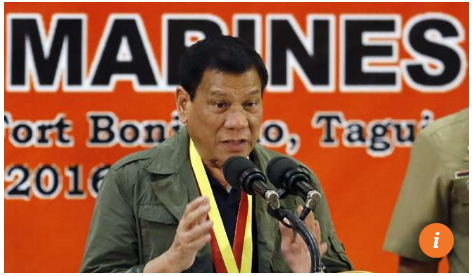 Separately, Duterte said the United Nations, European Union and United States would get a free hand to investigate killings in his anti-narcotics campaign, but only under Philippine laws. Deaths in the campaign have averaged more than 40 a day since Duterte took office on June 30. China plans to finance and build several outposts and other facilities to beef up Tajikistan’s defense capabilities along its border with Afghanistan, the Tajik government said on Monday. 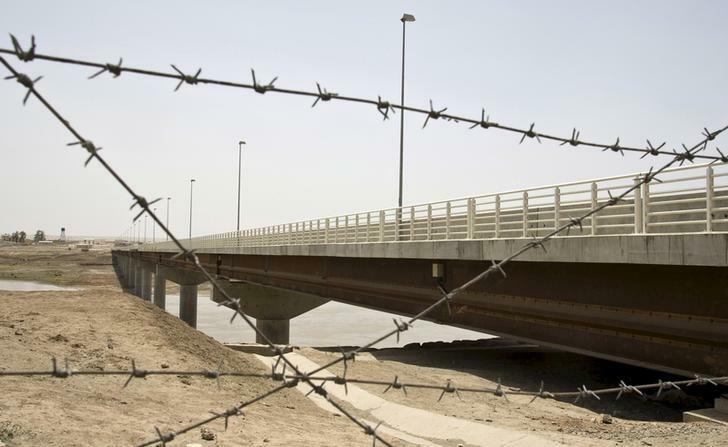 The Central Asian nation’s 1,345-km border with its southern neighbor is leaky and Dushanbe routinely reports clashes between border guards and armed drug smugglers there. In a decree published on Monday, the government instructed the State National Security Committee to sign an agreement with the Chinese side which provides for the construction of eleven outposts of different sizes and a training center for border guards.